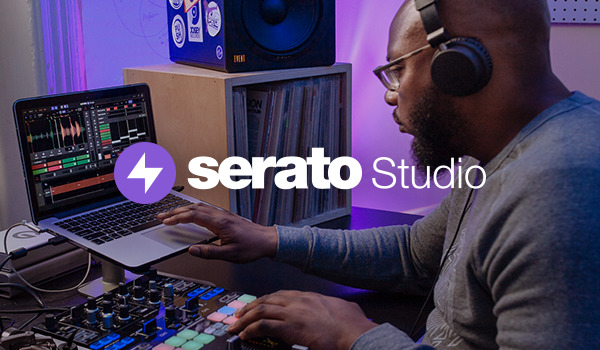 Serato software products use or incorporate third party software and other copyright material that are subject to the acknowledgements and terms set out below. For any of the third party libraries listed below that are licensed under the GNU LGPL, you can receive a copy of the applicable source code by sending a written request to legal@serato.com. Your request should include: (i) the name of the third party library, (ii) the name and version number of the Serato product containing the third party library, (iii) your name; and (iv) your return mailing and email address (if available). Your request must be sent within three (3) years of the date you received the Serato product that includes the third party library that is licensed under the GNU LGPL. Copyright (c) 2003-2008, Jouni Malinen <j@w1.fi> and contributors All Rights Reserved. * Neither the name of Signal 11 Software nor the names of its contributors may be used to endorse or promote products derived from this software without specific prior written permission. Copyright © 2012 iZotope, Inc. All Rights Reserved. iZotope, Inc. grants you a non-exclusive license to use the Software free of charge. Although you are free to download and use the Software, you are not free to reproduce or redistribute the Software without the express written consent of iZotope, Inc. You are free to point your end users to the iZotope download location so they may download the Software, if available, directly from iZotope or from a location that has express permission to redistribute the Software. DISCLAIMER OF WARRANTY. Free of charge Software is provided on an "AS IS" basis, without warranty of any kind, including without limitation the warranties of merchantability, fitness for a particular purpose and non-infringement. The entire risk as to the quality and performance of the Software is borne by you. Should the Software prove defective, you and not iZotope, Inc. assume the entire cost of any service and repair. This disclaimer of warranty constitutes an essential part of the agreement. Some jurisdictions do not allow exclusions of an implied warranty, so this disclaimer may not apply to you and you may have other legal rights that vary by jurisdiction. use one copy of the Software on any one computer at any one time. If more than one user will be using the Software at any one time, you must obtain one License for each concurrent user of the Software from iZotope, Inc.
permit other individuals to use the Software except under the terms listed above; modify, translate, reverse engineer, decompile, disassemble (except to the extent applicable laws specifically prohibit such restriction), or create derivative works based on the Software; rent, lease, grant a security interest in, or otherwise transfer rights to the Software; or remove any proprietary notices or labels on the Software. TITLE. Title, ownership rights, and intellectual property rights in the Software shall remain in iZotope, Inc. and/or its suppliers. The Software is protected by copyright laws and treaties. Title and related rights in the content accessed through the Software is the property of the applicable content owner and may be protected by applicable law. This License gives you no rights to such content. TERMINATION. The license will terminate automatically if you fail to comply with the limitations described herein. On termination, you must destroy all copies of the Software. EXPORT CONTROLS. None of the Software or underlying information or technology may be downloaded or otherwise exported or re-exported (i) into (or to a national or resident of) Cuba, Iraq, Libya, Yugoslavia, North Korea, Iran, Syria or any other country to which the U.S. has embargoed goods; or (ii) to anyone on the U.S. Treasury Department’s list of Specially Designated Nationals or the U.S. Commerce Department’s Table of Denial Orders. By downloading or using the Software, you are agreeing to the foregoing and you are representing and warranting that you are not located in, under the control of, or a national or resident of any such country or on any such list. Limitation of liability. under no circumstances and under no legal theory, tort, contract, or otherwise, shall izotope, inc. or its suppliers or resellers be liable to you or any other person for any indirect, special, incidental, or consequential damages of any character including, without limitation, damages or loss of goodwill, work stoppage, computer failure or malfunction, or any and all other commercial damages or losses. In no event will izotope, inc be liable for any damages in excess of the amount ipswitch received from you for a license to the software, even if izotope, inc shall have been informed of the possibility of such damages, or for any claim by any other party. This limitation of liability shall not apply to liability for death or personal injury to the extent applicable law prohibits such limitation. furthermore, some jurisdictions do not allow the exclusion or limitation of incidental or consequential damages, so this limitation and exclusion may not apply to you. HIGH RISK ACTIVITIES. The Software is not fault-tolerant and is not designed, manufactured or intended for use or resale as on-line control equipment in hazardous environments requiring fail-safe performance, such as in the operation of nuclear facilities, aircraft navigation or communication systems, air traffic control, direct life support machines, or weapons systems, in which the failure of the Software could lead directly to death, personal injury, or severe physical or environmental damage ("High Risk Activities"). iZotope, Inc, and its suppliers specifically disclaim any express or implied warranty of fitness for High Risk Activities. MISCELLANEOUS. This Agreement represents the complete agreement concerning this license and may amended only by a writing executed by both parties. If any provision of this Agreement is held to be unenforceable, such provision shall be reformed only to the extent necessary to make it enforceable. This Agreement shall be governed by the laws of the Commonwealth of Massachusetts. The application the United Nations Convention of Contracts for the International Sale of Goods is expressly excluded. U.S. GOVERNMENT RESTRICTED RIGHTS. Use, duplication or disclosure by the Government is subject to restrictions set forth in subparagraphs (a) through (d) of the Commercial Computer-Restricted Rights clause at FAR 52.227-19 when applicable, or in subparagraph (c)(1)(ii) of the Rights in Technical Data and Computer Software clause at DFARS 252.227-7013, or at 252.211-7015, and in similar clauses in the NASA FAR Supplement. Contractor/manufacturer is iZotope, Inc. 700 Technology Square, Cambridge, MA 02139, USA. This license is a subset of the other two, and it covers the libjpeg-turbo SIMD extensions. This section provides a roll-up of the libjpeg-turbo licensing terms, to the best of our understanding. You cannot alter or remove any existing copyright or license notices from the source. You must include the IJG README file, and you must not alter any of the copyright or license text in that file. Your product documentation must include a message stating: This software is based in part on the work of the Independent JPEG Group. If your binary distribution includes or uses the TurboJPEG API, then your product documentation must include the text of the Modified BSD License. 3. You cannot use the name of the IJG or The libjpeg-turbo Project or the contributors thereof in advertising, publicity, etc. The IJG and The libjpeg-turbo Project do not warrant libjpeg-turbo to be free of defects, nor do we accept any liability for undesirable consequences resulting from your use of the software. Copyright (C) 1999, 2002 Aladdin Enterprises. All rights reserved. The majority of the source code in the mDNSResponder project is licensed under the terms of the Apache License, Version 2.0, available from: <http://www.apache.org/licenses/LICENSE-2.0> To accommodate license compatibility with the widest possible range of client code licenses, the shared library code, which is linked at runtime into the same address space as the client using it, is licensed under the terms of the "Three-Clause BSD License". The Linux Name Service Switch code, contributed by National ICT Australia Ltd (NICTA) is licensed under the terms of the NICTA Public Software Licence (which is substantially similar to the "Three-Clause BSD License", with some additional language pertaining to Australian law). This package is an SSL implementation written by Eric Young (eay@cryptsoft.com). The implementation was written so as to conform with Netscape’s SSL. This library is free for commercial and non-commercial use as long as the following conditions are adhered to. The following conditions apply to all code found in this distribution, be it the RC4,RSA, lhash, DES, etc., code; not just the SSLcode. The SSL documentation included with this distribution is covered by the same copyright terms except that the holder is Tim Hudson (tjh@cryptsoft.com). "This product includes cryptographic software written by Eric Young (eay@cryptsoft.com)" The word 'cryptographic' can be left out if the routines from the library being used are not cryptographic related :-). * Neither the name of the University of Cambridge nor the names of itscontributors may be used to endorse or promote products derived from this software without specific prior written permission. Copyright (c) 2004 the University Corporation for Atmospheric Research ("UCAR"). All rights reserved. Developed by NCAR's Computational and Information Systems Laboratory, UCAR, www.cisl.ucar.edu. Copyright (c) 2004 the University Corporation for Atmospheric Research ("UCAR"). All rights reserved. Developed by NCAR's Computational and Information Systems Laboratory, UCAR, www2.cisl.ucar.edu. Copyright (c) 2014, Oculus VR, Inc.
Syphon is licensed under a Simplified BSD license. Copyright 2010 bangnoise (Tom Butterworth) & vade (Anton Marini). e call this license the "Lesser" General Public License because it does Less to protect the user's freedom than the ordinary General Public License. It also provides other free software developers Less of an advantage over competing non-free programs. These disadvantages are the reason we use the ordinary General Public License for many libraries. However, the Lesser license provides advantages in certain special circumstances.